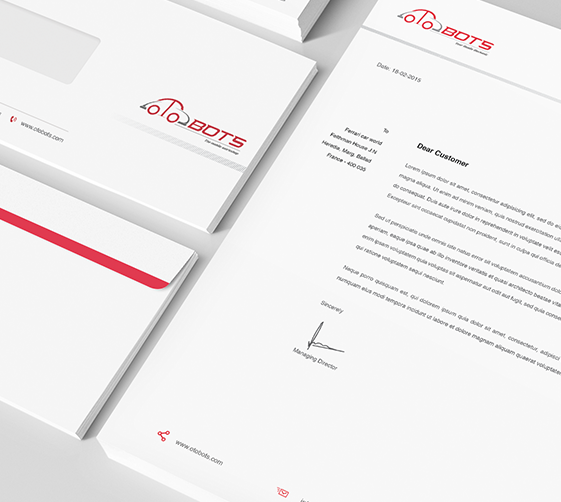 When the Webandcrafts team began working with Otobots to compile a new brand image, we initiated our approach of assessing what their service was about and the wants and needs of their customers. 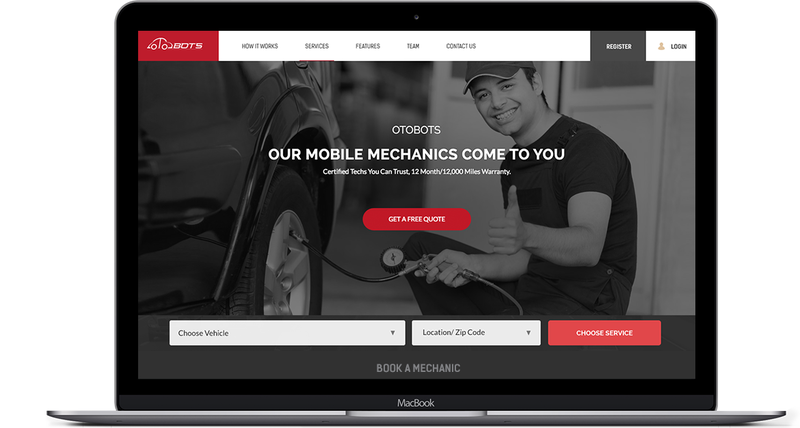 Based on the information received through Otobots website or mobile app, you will get a tailor-made quote on your specific set of service requirements. Choose a date, time and location at your convenience. A seasoned auto mechanic from our team will be there to fix your ride. 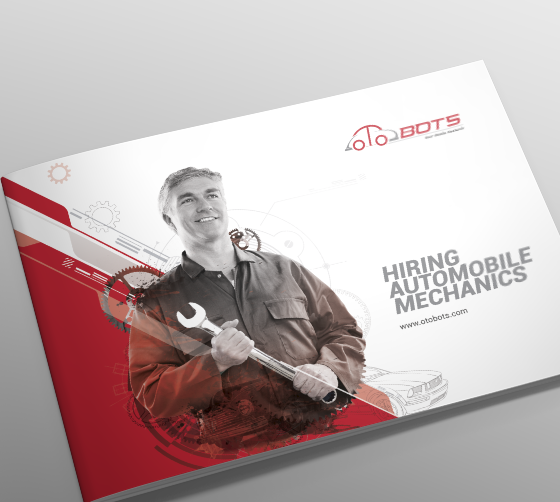 Otobots service comes to your home or office, at your desired time, at a predetermined price and with an experience and certified mechanic. 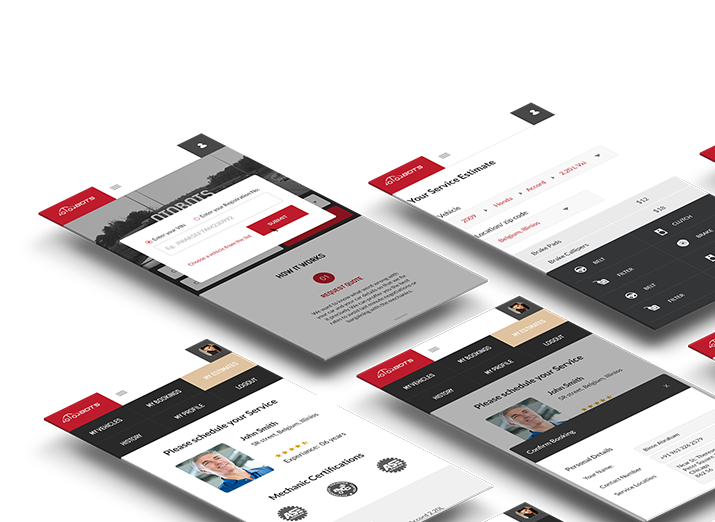 Responsiveness- the simplest way to reach visitors across multiple devices. As we have adopted responsive design considering Otobots’s targeted users and medium, the website is truly universal. The content and images used in the website flows efficiently and effectively into any possible device families. Flexible grids and layouts together with flat out intuition epitomize everything that is UX. Targeted demographic should be the main priority while choosing between platforms. Key demographic include both affluent and low income customer base and hence app was released on platforms, Android and iOS. 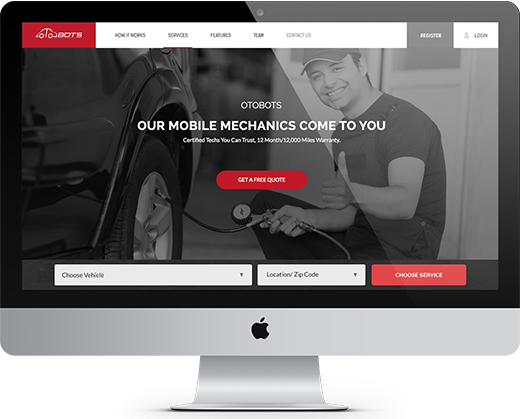 With Otobots mobile app available in both iOS and Android platforms, auto repair and services have become easy and convenient. Enhanced user experience enriching in all aspects whether it is easy download, hassle free installation, glitch free operation, data security, responsiveness, usability etc. 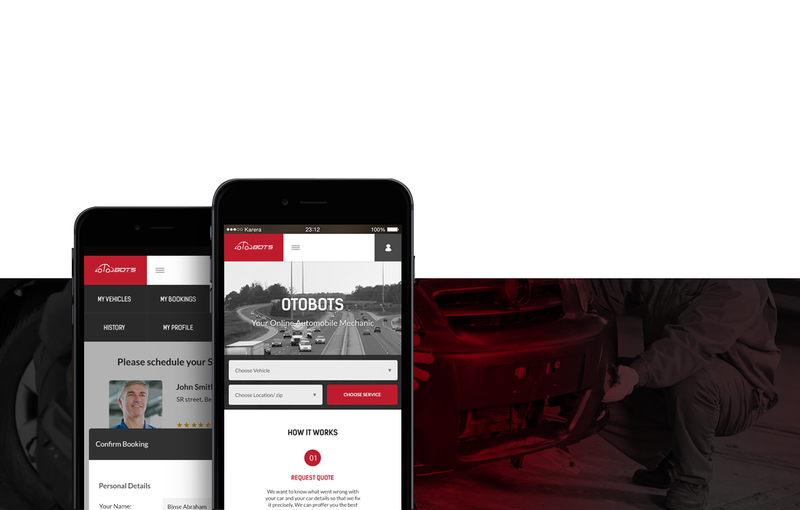 In order to support Otobots’ daily operations in a more reliable and efficient manner, fool proof website and a secure appointment booking system was essential. 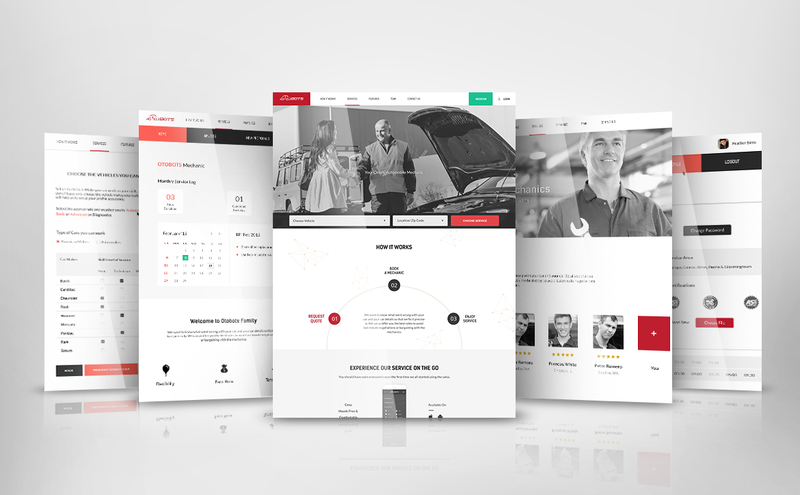 Nothing could be more appropriate than the recently launched Otobots website and mobile app, designed and developed by Webandcrafts. Another great testament to the promises we give and the work we do.